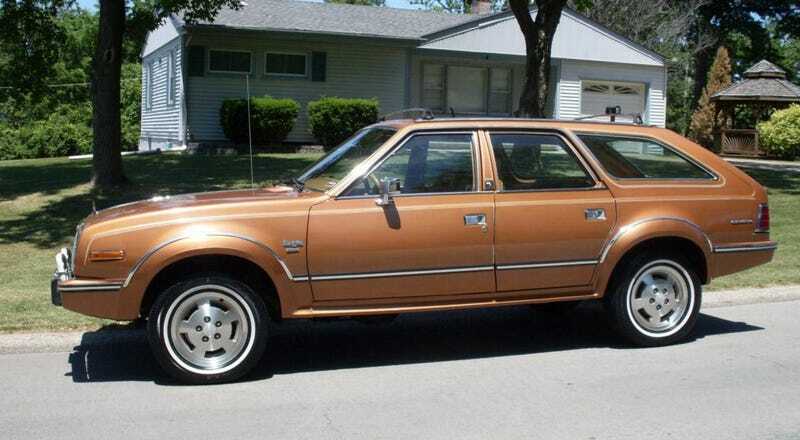 At $10,000, Could This 1984 AMC Eagle Wagon Have You Flying High? Jacked-up AWD versions of station wagons are so hot right now, but when today’s Nice Price or Crack Pipe Eagle was new they were kind of oddball. Let’s see if this one has what it takes to get the oddball rolling. When considering a used car, mileage is always an important factor to consider. It’s much the same way you might consider the number of former boot-knocking partners a potential spouse might have had. In both cases, the more typically isn’t the merrier, and can lead to issues— respectively—down the road/when you pee. Of course, if your car/intended was built as well as we expect yesterday’s 1999 Lexus LX470 to have been then everything should be right as rain, and I say drive on/get knocking! You all mostly agreed not only with that assertion but also with the $5,500 price tag carried by that Lexus, as it took home a soild 75-percent Nice Price win for its troubles. Let’s say you are intrigued by the concept of all-wheel drive but are not necessarily on board with the whole sitting way up in the air idea. Perhaps you’re Acrophobic, or maybe you just like living large on the down-low. What ever the reason, what might you do? If that description fits you to a wet T then I’d suggest taking a long, hard look at this 1984 AMC Eagle Limited wagon. It sports the Select Drive 2/4-wheel drive, but while it does ride higher, and on larger wheels than its AMC Concord progenitor, in the end it’s still just a gigolo jacked-up wagon. The Eagle was the brainkid of Jeep chief engineer, Roy Lunn (R.I.P.) and the proof of concept prototype was originally built by all-wheel drive specialists, Ferguson Formula Developments LTD. With credentials like that, you know it’s going to have the getting through the muck business down pat. But wait, there’s more! This Eagle comes kitted in rare fashion. The mill is AMC’s stout 258 cubic inch OHV straight six, and the ad says that was professionally rebuilt just five thousand miles ago. The car’s total mileage is a meager 37,200. Helping that small six be its all is a five-speed manual gearbox. Yep, five-speed. In 1984. From AMC! The bodywork is in fine shape, and yes your eyes are not deceiving you, it is brown. Quite remarkably, all the trim seems to be intact, and a pair of jaunty Marchel drivers sit up front. New tires wrap around the factory alloys and behind those lie new-ish brakes and shocks. Pop open one of the doors and you’re greeted by leather seats and shag carpet that’s really of another era. It’s also seemingly in fine shape, even if the overstuffed seats do look like fluffy loaves of bread. The car features the factory gauge package and that leads to the one issue noted in the ad, which is a non-working rev counter. Now, I don’t know if that’s a deal killer on an engine that makes its maximum torque at about 2,000 revs, but as the car’s apparently gone through two dials so far it’s perhaps something just to let go nonetheless. The title is clean, the car is running and driving, and, according to the ad, it gets thumbs up approvals at gas stations and grocery stores everywhere. It’s now time for you to give a thumbs up or down on this Eagle’s $10,000 price tag. Yes, that’s a lot of cheddar, but then this is a very nice example of a very cool old car. It’s also spec’d in a manner that you don’t see every day. What do you think, does that $10,000 price make this an Eagle that should fly? Or, does that ensure it’ll be grounded for life? Kansas City, MO Craigslist, or go here if the ad disappears. H/T to Nathan for the hookup! For $5,500, Would You Crossover To This 1999 Lexus LX470 SUV?